Kellas grew up in Winnipeg, Manitoba and then outside Chicago, Illinois. 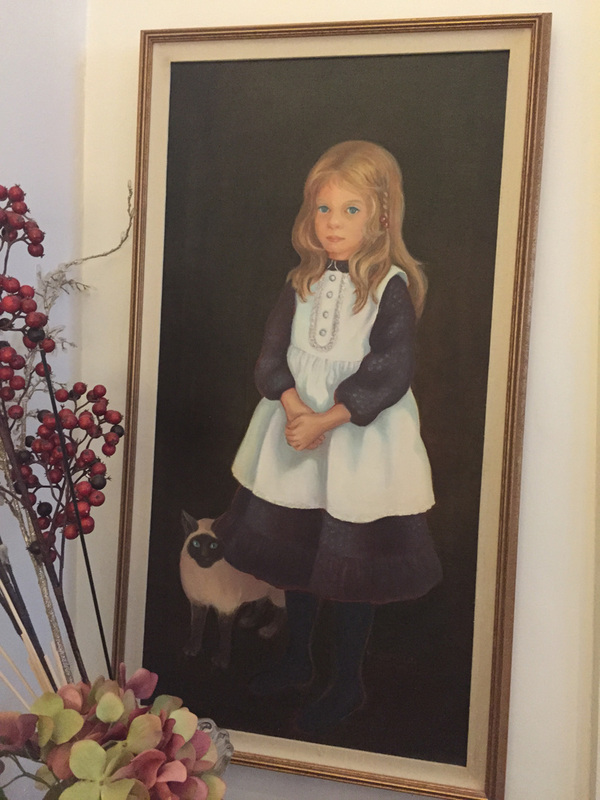 Her trusty cat, Charlie I, was by her side throughout and is pictured above in this painting by her mother. Kellas now lives in Edinburgh, Scotland, with Charlie II and Noir, both “rescue” cats. Her mother, Helen, was a commercial artist who graduated from the Corcoran Gallery School of Art in Washington, D.C. She taught Kellas to draw. When Kellas's mother was in the hospital in 2004, Kellas started drawing again -- frogs and other creatures from the National Geographic magazines in the ICU waiting room. She showed them to her mother. Although Helen was unable to fully wake up from a coma, whenever Kellas told her she had a drawing to show her, she opened her eyes and appraised it silently. She never lost her interest in art. She died in late 2004. A year later, Kellas encountered Charlie at a rescue cat adoption event. She was about a year old then, so would have been born soon after Kellas's mother died. Soon Kellas started drawing Charlie. After Kellas moved to London, she took her drawings to a local frame store, as putting them on the wall made more sense than storing them in boxes, and the frame store owner asked if he could try selling them. That was how it started.